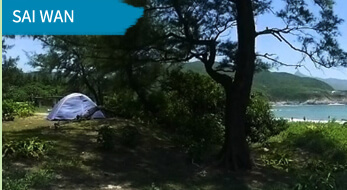 It’s a family camping trip to our facilities in Sai Kung East Country Park. We do a mix of fun and interesting land and water-based activities. Plus camp fires, cooking, night hikes, star-gazing, etc. A chance for parents and their kids to connect, learn and have fun together in an unspoiled rural landscape. WHERE? 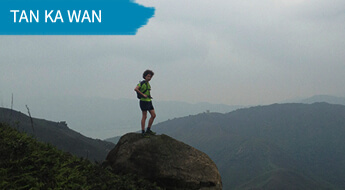 Our base at Tan Ka Wan is an isolated village of about 12 houses, in the north east of Hong Kong. Ten minutes by speedboat from Wong Shek Pier (terminus of bus#94) and opposite Tap Mun Island. There is a beautiful sheltered bay where we have our field centre (including a modern staff house, a workshop and storage facilities). Our at Sai Wan is one of the more remote and beautiful beach locations in Hong Kong. A short bus ride from Sai Kung town and a mostly downhill walk gets participants into the beach area where multiple exciting possibilities await. Tent camping is in order here, so for the slightly more adventurous kids! WHO? For kids aged 7 or more. Parent(s) are welcome. WHERE DO WE SLEEP? Our Tan Ka Wan base includes a staff house. It has 3 bedrooms, one with a bunk bed and a single, one with 2 single beds and a big one with 4 or more z-beds. Plus we have many folding z-beds (i.e., camping beds). Hot showers and toilets. Nice kitchen. Most groups of parents/kids that come with us want the adventure of camping, but with a relatively small group, it can flexible! And if the weather is poor, we often sleep in the house. It’s an ideal way to introduce first-timers to camping. Our Sai Wan location is tent-based, so we provide spacious 8-man tents or 4-man tents for participants to sleep in, with comfortable inflatable sleeping mats below. There are cold showers available in our nearby Surf Hong Kong location, with a backyard kitchen or even camp stove cooking for those who want to try their hand. WHAT DO PARENTS DO? Parents are welcome to join in the activities with their children, enjoy new experiences and learn about new things together, in a family group. Some of the best bonding I did with my son was when he was aged around 8, sitting at the front of a kayak with me behind, (with no electronic devices or other interruptions/distractions). Stand-up paddleboarding, kayaking, camping, campcraft, fire-making, cooking, meal preparation, BBQ, snorkeling, coasteering, habitat study, village exploration, night hiking.